Computers have today completely revolutionised the work of designers. Efficiency and speed have increased dramatically, as well as the ease at which communication is possible. For example, previously, working on drawings was time consuming and it took even longer to work on revisions. Computer-Aided Design or the CAD technology has not just cut down on the time being spent on drafting to a small fraction of previous times, but now drawing alterations can also be effected quickly without necessarily having to redraw everything. Additionally, diverse views can now be easily generated utilising the same drawing.The WorkingToday, CAD and CAM software that is highly affordable has become fully main-stream among lots of dependent industries. The software is available easily from several provider companies in Bristol and getting access to free demos as well as downloads is not too difficult. In generating the actual component model, Computer-Aided Design (CAD designs) works alongside Computer-Aided Manufacturing (CAM numerical coding) in operating the machine that generates the desired product. Computer-Aided Manufacturing or CAM generates physical models, a very useful feature when manufacturers need to check a component or part for proper fit against other parts. 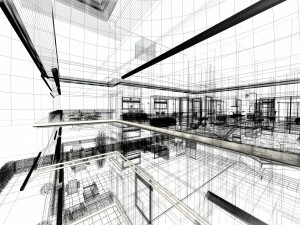 Computer-Aided Design is an innovative computer technology that helps in technical drafting and drawing of products including buildings. Experts use it in the development of 3D drawings of their architectural designs, although its core function is creating 3D solid and surface models including 2D vector-based models. Manufacturers are employing the capabilities of CAD to look at a particular component part and its designs prior to its production. This aids in checking for defects and if necessary in the re-designing. While obtaining free downloads and demos are useful methods of exploring your software options, it is to the best interest of your company to invest some resources in the more expensive versions of the software. Establishing the most suitable software for your company specific application needs calls for some planning and forethought. What you can achieve with software from a free download will be limited, hence why it is important to consider a bigger financial investment in line with your application requirements in Bristol. Today, Computer-Aided Design systems are accessible in all the major online platforms such as Mac OS X, Linux, Windows and UNIX. Several of the packages will even support and are compatible with multiple platforms. As of now, you don’t require any special hardware for operating most CAD software. Nevertheless, some of the CAD systems can perform computationally and graphically intensive tasks, and that’s why it may be recommended that you acquire a high speed CPU, an advanced graphics card and larger RAM capacities. We have been presented with 2 LABC awards!